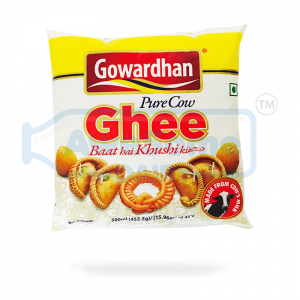 Amul Ghee is a good source of energy & helps to build strength. Ghee builds the immune system & nourishes the skin. It is an ethnic product made from fresh cream. 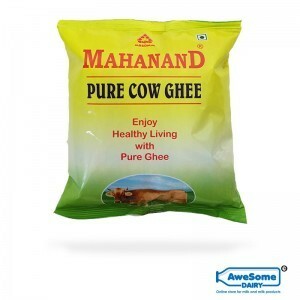 It is pure ghee with rich aroma & granular texture. 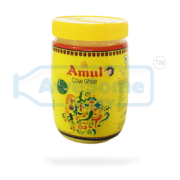 Amul ghee is packed with full of vitamin A, D, E, and K.
Amul is one of the leading brands and well known for manufacturing good quality milk and milk products in India. 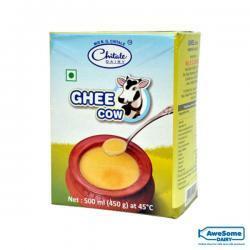 Ghee has a very long history and has been always proven to be a good food for health. Adding 1 spoon of ghee daily will keep you fit and energetic to cope up with daily’s personal and professional busy life. 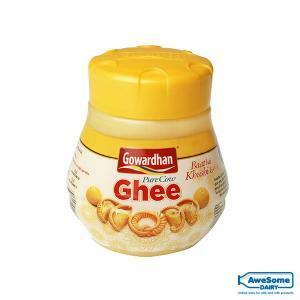 Ghee can be used to enrich the taste of the food and provide it with a rich aroma. 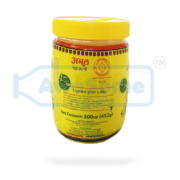 Ghee is proven to build strength, build and strength the immunity, provide stimulation to muscle movement and also helps to provide nourishment to the skin and other body organs. It also helps aids digestion and fights with inflation. 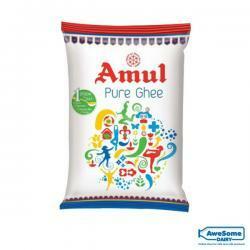 Amul ghee is made from 100% fresh pure cow milk, so the quality can be trusted. 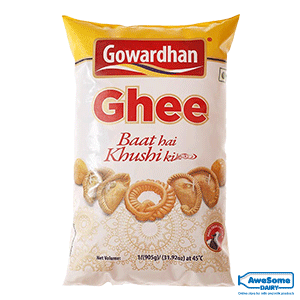 Amount as per 100 ml: Energy 814 kcal, Energy from Fat 814 kcal, Total Fat 90.5g, Saturated fat 58g cholesterol 190 mg.